May 1, Loyalty Day — Established in 1921, this is a day for U.S. citizens to reaffirm their loyalty to the country and the U.S. Constitution. May 7–May 13, Public Service Recognition Week — The first full week in May is traditionally set aside to honor individuals who work in federal, state and local governments. May 12, Military Spouse Appreciation Day — Since 1984, the Friday before Mother’s Day has been set aside to honor the sacrifices military spouses make to support service members. May 8, V.E. Day — On this date in 1945, Nazi Germany surrendered unconditionally to the Allied forces, signally Victory in Europe and an end to WWII combat in that theatre. May 20, Armed Forces Day — The third Saturday of May is dedicated to honoring current members of the U.S. military. May 29, Memorial Day — Since the conclusion of the Civil War, the final Monday in May has been set aside to honor the fallen of all U.S. wars. This solemn occasion is a federal holiday. 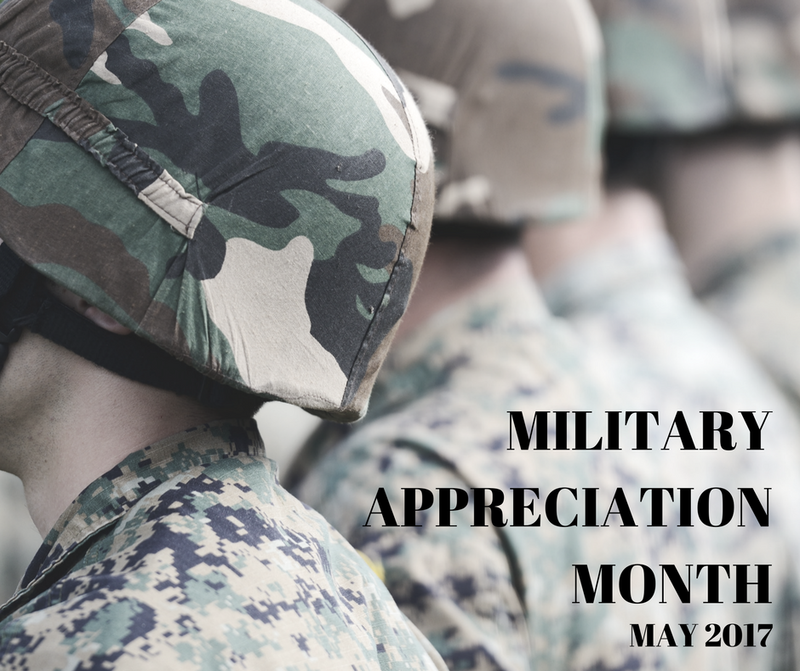 In his proclamation recognizing Military Appreciation Month 2015, Virginia governor Terry McAuliffe noted, “Many Virginians continue to serve on active duty and in the National Guard, and in the reserve components of the United States Armed Forces.” The Commonwealth is currently home to about 800,000 veterans. Marcari, Russotto, Spencer & Balaban has a deep connection to the military community. Many of our attorneys and staff are veterans who dedicate their careers to helping veterans access the benefits they are entitled to. We hope that you join us in observing NMAM. If you or a loved one is having trouble with a VA benefits claim, Marcari, Russotto, Spencer & Balaban can help. Call us from anywhere in the nation at 866-866-VETS or contact our office online.